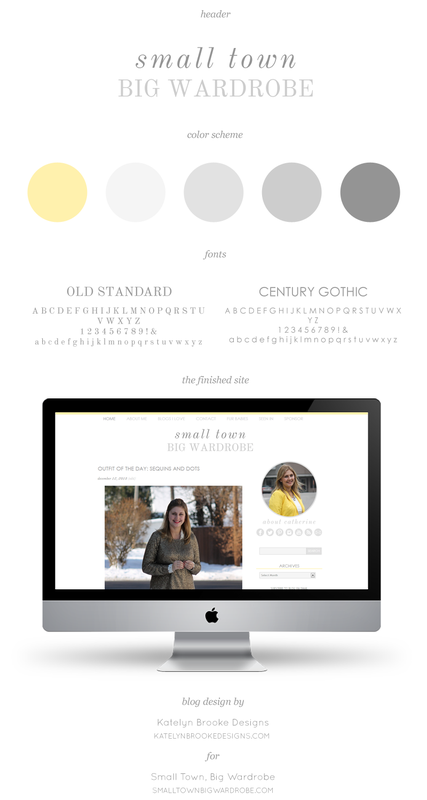 Remember when I blogged about the process for revamping Ashlee Proffitt’s existing site design? Well, shortly after that Catherine got in touch with me about doing something similar to her blog design. We launched her blog design last September, and while she still liked a lot of things about it, there were some things that were just asking to be updated. Another one I can’t wait to read! I’ve been getting much more into my appearance lately: wardrobe, hair, makeup. And I keep stumbling on these blogs that are exactly what I need. Great work, gal! I think it’s great that people are realizing the value of updating their design ( at least with little tweaks ) once a year. Great idea! I am in LOVE with my blog all over again!! Thank you so much, Kate – you were wonderful to work with as usual! It looks great! It’s always surprising what a difference a few tweaks make!